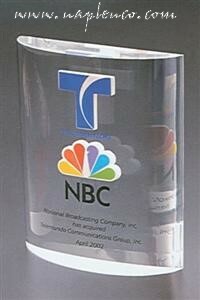 SELECT FROM THESE RECOGNITION, AWARD, PRESENTATION AND ENGRAVING SERVICES. 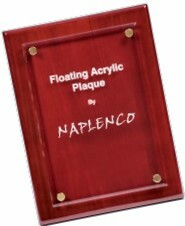 Find anyone else with a larger catalogue of Acrylic awards ever compiled for the internet (OVER 1200 OPTION CHOICES AVAILABLE). 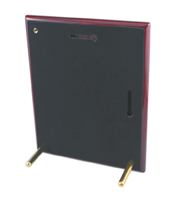 Select from sizes, shapes, colors, materials and quantity pricing. 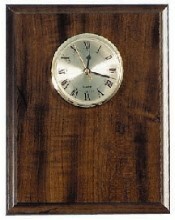 These great looking time-keepers can't make time stand still, however, they willalways capture the memories of the moment. The finest Optic Crystal is now available to you from a pioneer of Acrylic recognition like none other. Make memorable moments even more so with beautiful, hand-produced unique glass creations. 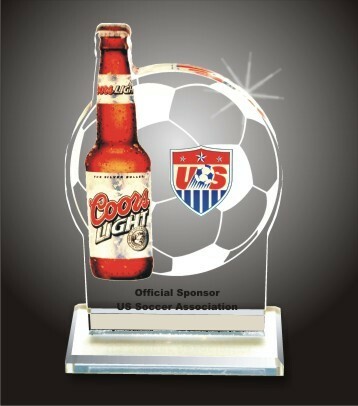 ENCASE MOST ANYTHING POSSIBLE IN EVERLASTING AND DURABLE LUCITE - KEEPSAKE OR DEAL TOY OF MERGER, SUCCESFUL FILING OR ANY MEMORABLE OCCASION. HUNDREDS OF OPTION CHOICES. Never has there been a greater range of material combinations than here and now. 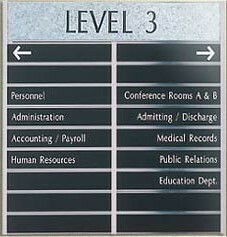 The company was formed on name badge recognition and a complete selection of stock or custom name or corporate badges awaits. Easily configured and ready for use or simply call us and we'll walk you through it. Quickly assembled by you or us and talk about economical. 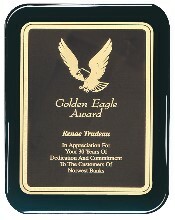 In a diversity of styles, shapes & sizes, these self-supporting recognition awards can be proudly displayed in any large or confined area. Your choice from a huge selection of shapes, colors, sizes and textures. 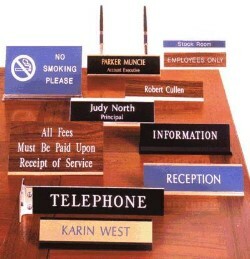 Like all other products from NAPLENCO Desk plates are no exception when it comes to selection. 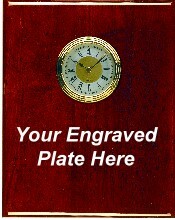 4-COLOR PRINTING ON ACRYLIC WITHOUT HAVING TO HAVE A TOTALLY PRINTED BACKGROUND - NEW FOR THE INDUSTRY AND WE OFFER IT ! Since 1973 we have been providing top quality goods and after sales services to clients from around the world. 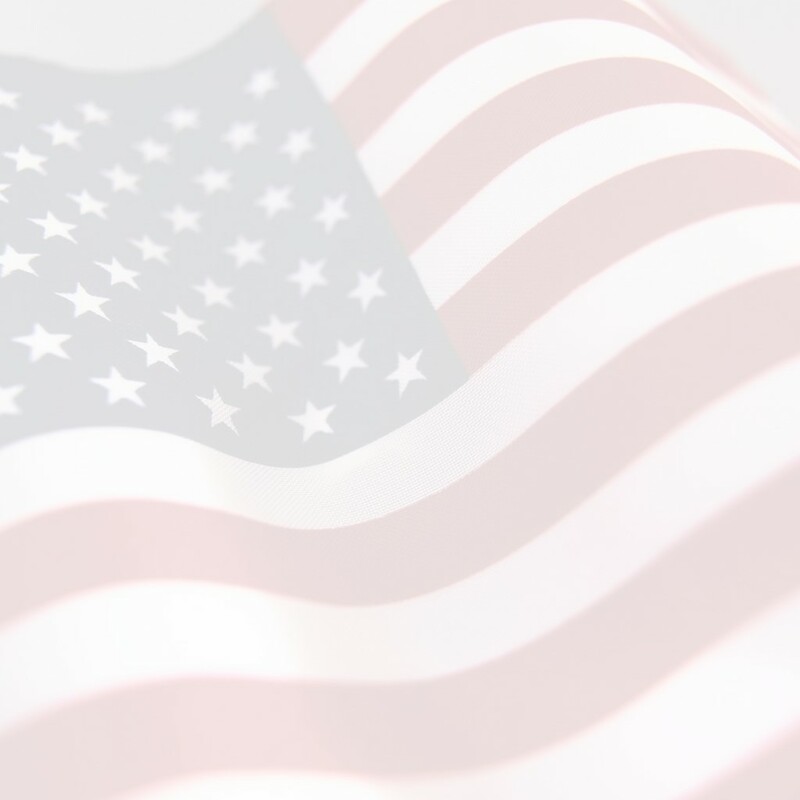 We've shipped to the Marines in Cuba and Iraq, customers in Europe and the Mediterranean and in every direction in the U.S. Want to see why everyone is using National? Order today and find out. 08.25.1973 - For over 39 years National Plastic Engraving Company's efforts have been directed towards corporate America's passion to recognize it's own. And we do it economically. Years after organization, National hits the World Wide Web and offers a most competitive listing of acrylic, wood, plastic, metal, glass and stone awards available, and, we're adding products continuously. Don't see what you want? Just ask! 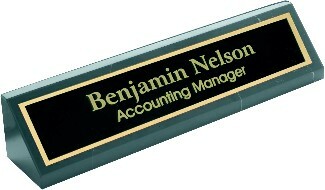 WE SELL AND/OR MANUFACTURE NAMEPLATES, DOORPLATES, NAME BADGES, ACRYLIC AWARDS, PERPETUAL PLAQUES, WALLPLATES, ENGRAVING SERVICES, GLASS ETCHING & SANDBLASTING, EBONOY FINISH PLAQUES, MONTHLY AWARD PROGRAMS, METAL, WOOD AND STONE PLAQUES AND PLATES QUARTERLY AWARD PROGRAMS, ELECTRICAL SWITCHPLATES PAPERWEIGHTS, ENGRAVED WEDDING INVITATIONS, EMBEDMENTS, TOMBSTONES, GLASS BLOTTERS, OPTIC CRYSTAL, ACRYLIC PLAQUE PLATES, WOODEN PERPETUAL PLAQUES, ACRYLIC STAR AWARDS, GLASS AWARDS, DIRECTORIES, PRESENTATION PLAQUES, CORPORATE IDENTIFICATION, CORPORATE RECOGNITION, CORPORATE AWARDS, YEARLY AWARD PROGRAMS, PIANO FINISH PLAQUES, ACRYLIC CUTOUTS, STAR AWARDS, PLASTIC NAME BADGES, PLASTIC DOOR PLATES, NAME PLATES & WALL PLATES, METAL NAME BADGES, MAGNETIC NAME BADGES, OFFICE DIRECTORIES, HANGING PLASTIC SIGNAGE, STOCK & CUSTOM ORDERS, METAL & MARBLE WALLPLATES, PLAQUES AND DESKPLATES, PLASTIC ENGRAVING, LASER ENGRAVING, PLAQUE CLOCKS, TROPHIES, CORPORATE GIFTS & RECOGNITION, ACRYLIC CLOCKS.